Presenting the new improved fittingstor. An improved design fittingstor, evolved from customer feedback. The FC2, FC3 and FC4 are now all fitted with recessed handles so as to make manoeuvering easier on site, without the risk of the handles damaging walls and surroundings. The fixed shelf brackets in the FC2, FC3 and FC4 reduces the risk of losing the shelf brackets and increases the rigidity of each shelf. 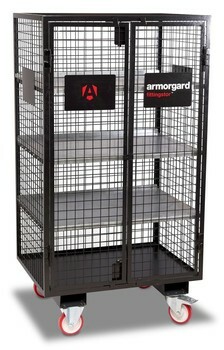 The FC6 is a new product added to the fittingstor range, which is a mesh cage on wheels, designed to act as a "main store" for fittings and fixings with the added functionality delivering fixings to individual contractors. 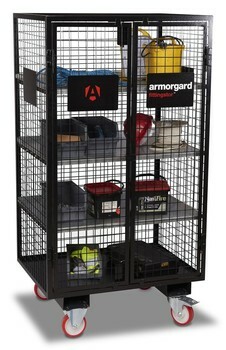 Built from mesh for improved visibility of the contents. 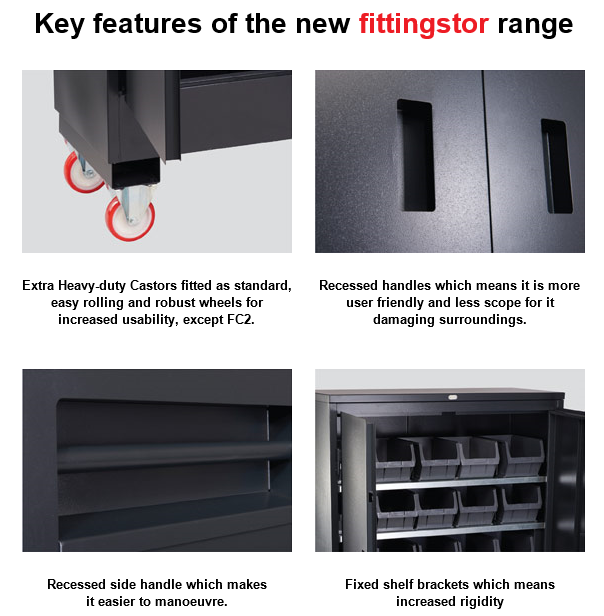 Click here to view all new fittingstor range.